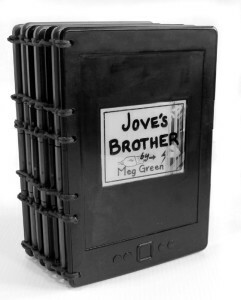 ‘Jove’s Brother’ by Meg Green, 2015. 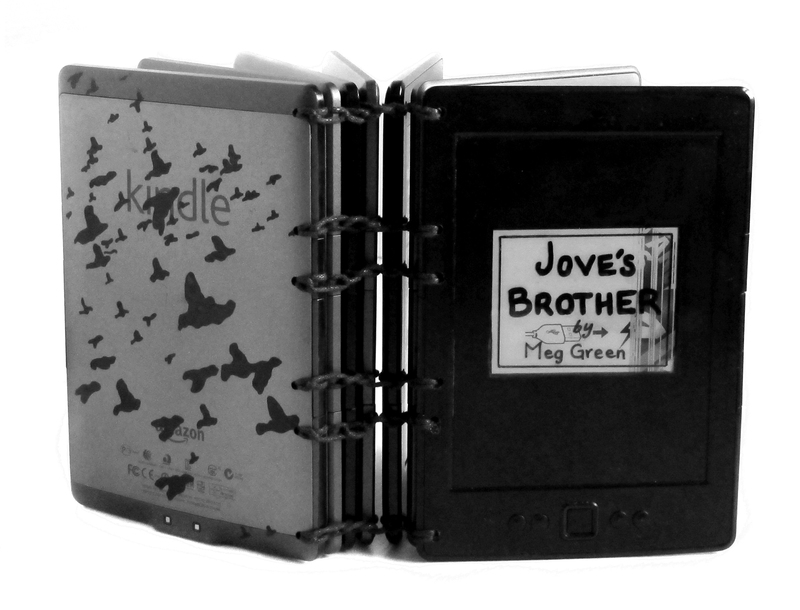 ‘Jove’s Brother’ is an observation on our changing relationship with books and reading. 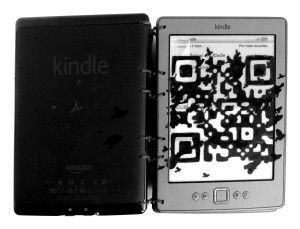 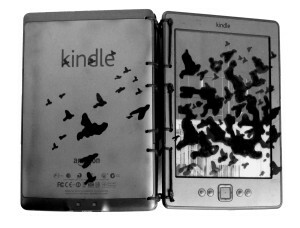 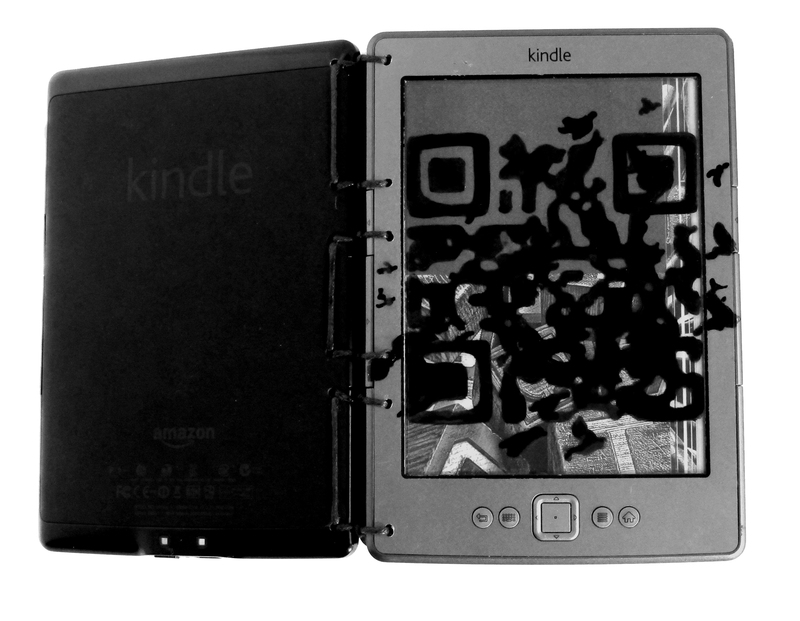 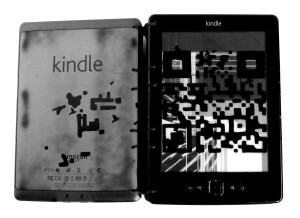 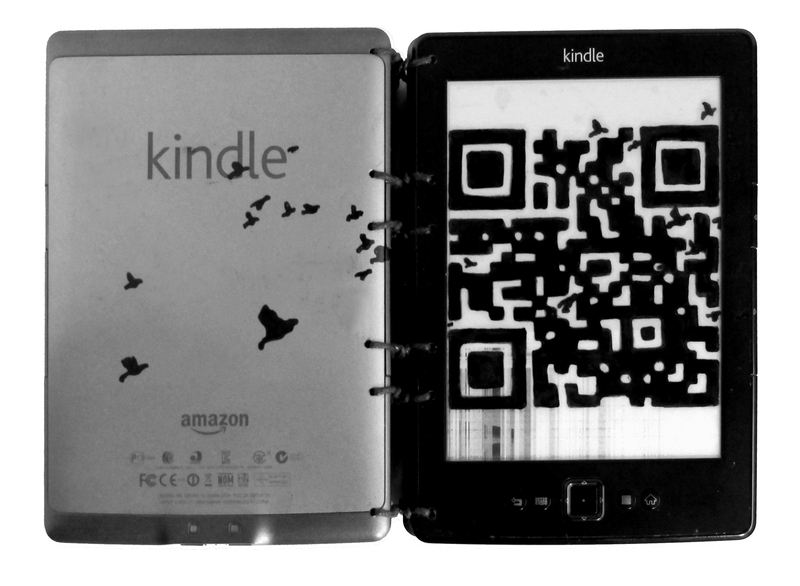 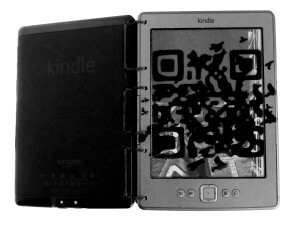 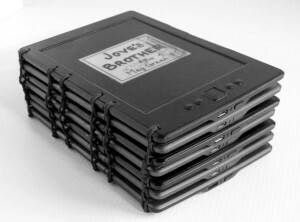 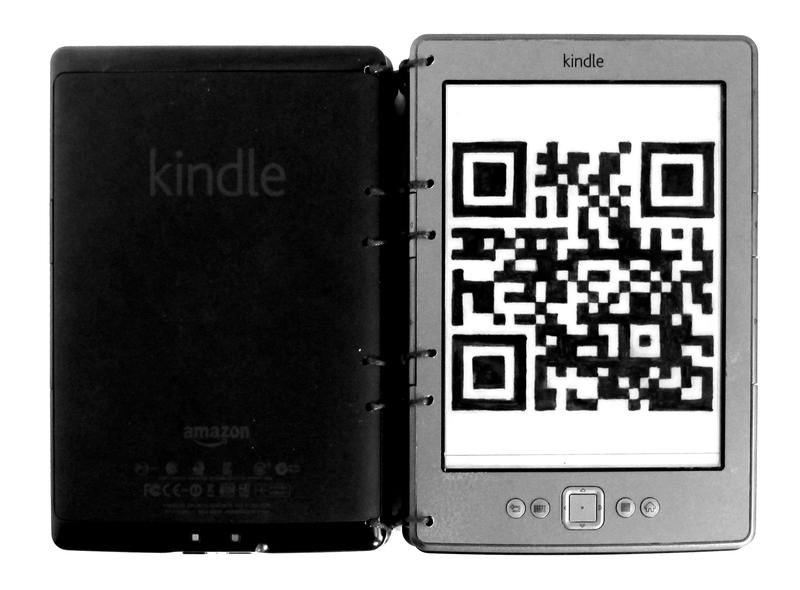 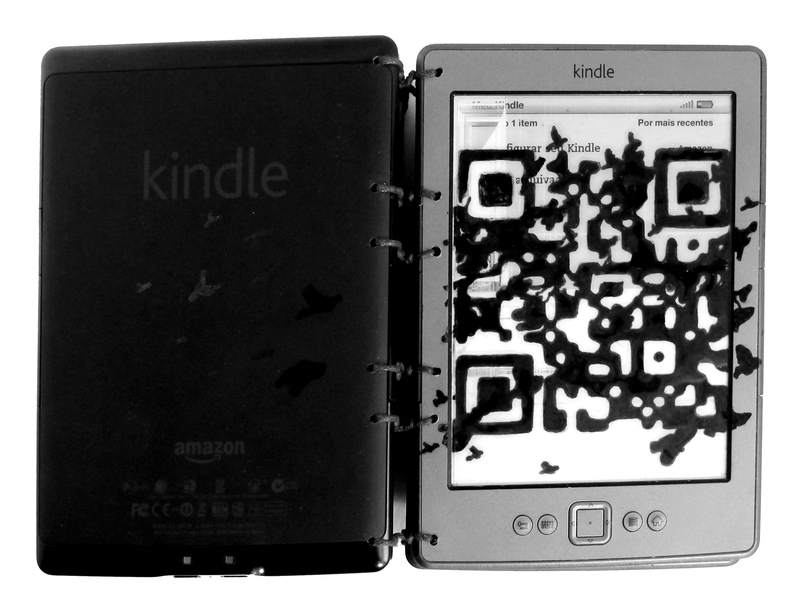 Seven non-functioning Kindle e-readers have been bound into one complete volume. 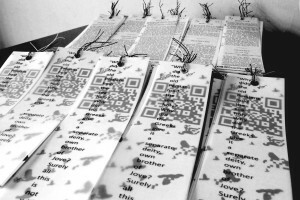 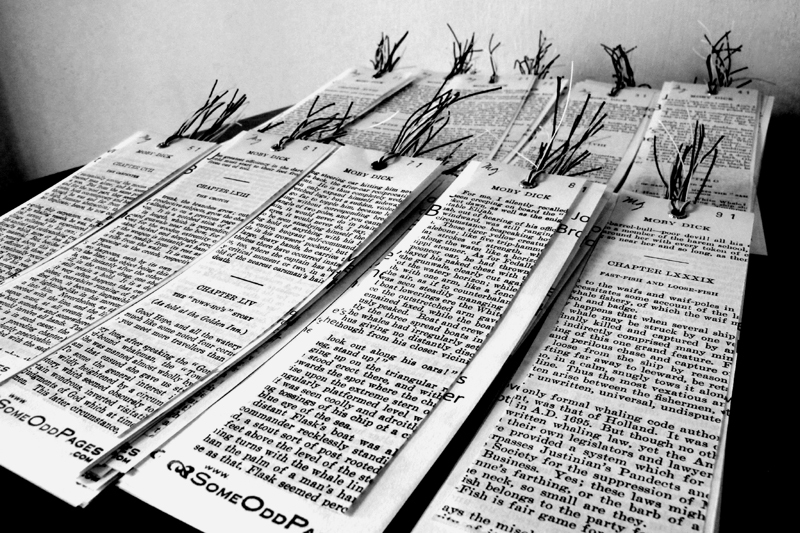 Each hand drawn ‘page’ constructs a series of images eventually forming a QR code which can be read by mobile, tablet or laptop. 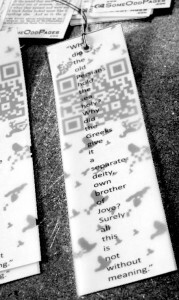 The code links to the continuous text of one of the most iconic books ever written in the English language displayed down a single page of this non-commercial dedicated website JovesBrother.com. The title of this artwork is revealed by searching the text. See more about this unique concept book at Jove’s Brother. 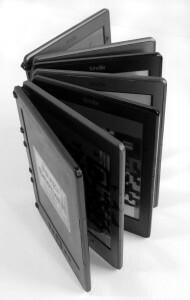 A new European study led by Anne Mangen of Norway’s Stavanger University, documents differences in the immersion, recall and emotional responses to a story based on whether the material is presented in traditional paper book form or via digital e-reader. 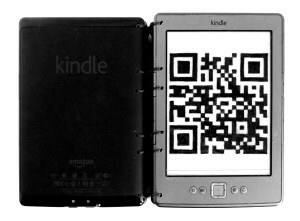 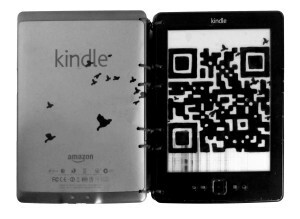 The researchers found that “the tactile experience of a Kindle does not provide the same support for mental reconstruction of a story as a print pocket book does”. 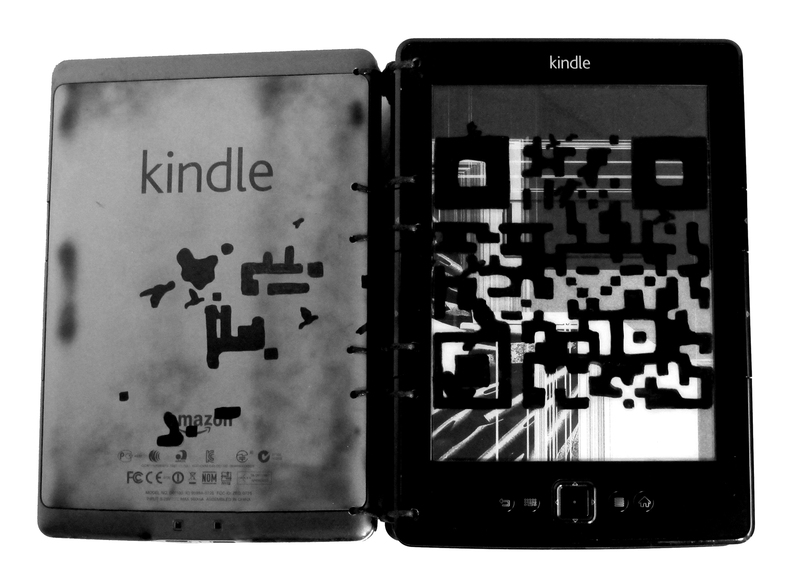 New European study into empirical effects of digitisation on text reading shows reading is becoming more intermittent and fragmented with “empirical evidence indicating screen devices might negatively impact cognitive and emotional aspects of reading”. The fact that sustained reading takes time strengthens our ability to maintain long term focus, improves our understanding of depth, complexity and layered meaning, and provides a more thoroughly immersive experience of reading in general. 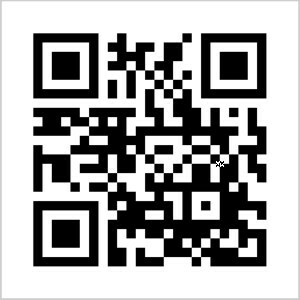 This level of sustained focus helps people, especially children at formative education levels, prepare for and negotiate complex life situations with more balanced references to deeper memory and cultural experiences.